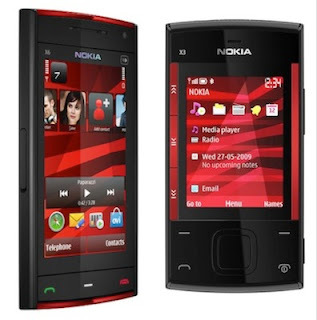 Nokia introduced two new music centric mobile phone X3 and X6 at Nokia World. The X6 features 3.2-inch capacitive touchscreen and 5-megapixel camera with Carl Zeiss optics and dual-LED flash. The S60 5th edition based phone comes with 32GB internal memory, quad-band GSM/EDGE, tri-band WCDMA, WiFi, Bluetooth, A-GPS and micro-USB port. The full HTML browser on the phone supports Flash Lite 3.0 and Nokia Ovi application suite for downloading music/video, messaging and other Internet based services. Panasonic debuted the new DMC-GF1 Micro Four Thirds camera, which it claims is “the world’s smallest and lightest digital interchangeable lens system camera with a built-in flash”. 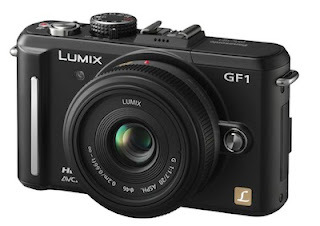 The GF1 is 35 percent smaller than earlier G models and is even smaller than recently announced Olympus E-P1. Leander Kahney of Cult of Mac has posted an article arguing that the new Mac OS X Snow Leopard is designed to run Apple’s upcoming tablet. He talks about various parts of Mac OS X that Apple updated and are now more touch friendly. The first feature he points out is Expose in the Dock, which reveals all the open windows in an application when you click and hold the application icon in the dock. He further adds that Stacks is even more convincing with bigger icons and fat slider for scrolling up and down. 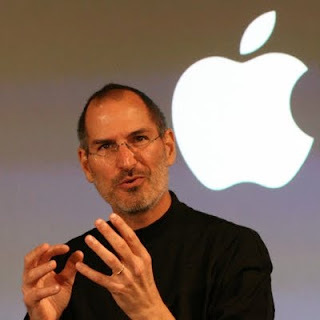 Will Steve Jobs Give Keynote Speech at September 9 Event? Yesterday, Apple confirmed the rumored September 9 media event and as soon as the rumors about the music event were confirmed by the invitations, the blogosphere jumped to a new discussion – will Steve Jobs do the keynote presentation on September 9th? 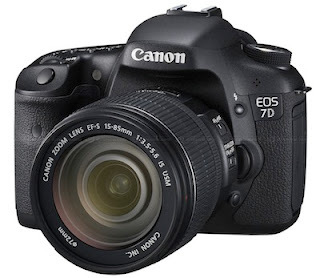 Canon today officially announced the much-rumored EOS 7D digital SLR. The new camera features 18-megapixel APS-C CMOS sensor, dual DIGIC 4 processors, 8fps continuous shooting and full HD video recording. The EOS 7D comes with 19-point cross-type AF sensor offering a range of manual and automatic settings including Zone and Spot AF to track and capture subject quickly and accurately. The EOS 7D also incorporates new Focus Color Luminance metering system that intelligently measures focus, color and luminance across 63 zones. Apple has sent out invitations for September 9th media event, which will be held at Yerba Buena Center for Arts in San Francisco at 10:00 AM Pacific Time / 1:00 PM Eastern Time. The invitation states, “It’s only rock and roll, but we like it” a reference to Rolling Stones song “It’s Only Rock ‘n’ Roll” clearly indicating a music / iPod related event. Report about Apple’s plan for Wednesday, September 9 event was first published by All Things Digital and was later confirmed by other websites. 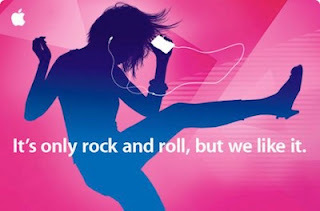 It has been rumored that Apple will introduce new iPod touch, iPod nano and iPod classic with integrated camera, and iTunes 9 with social networking features at September 9 event. We will be doing a live coverage of the event on September 9th at 10:00 AM PST / 1:00 PM EST on live.techztalk.com. Apple released their new operating system Mac OS X 10.6 Snow Leopard past Friday. The first thing I did on Saturday was to install the new OS and take it for a spin. Before starting the installation, I made a disc image of my hard drive in case something goes wrong. The installation process was the easiest I have ever seen for any software. In fact, installing an IM client on your system is harder than installing Mac OS X Snow Leopard. 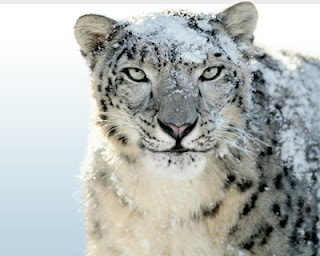 I installed Snow Leopard on two systems 13-inch unibody MacBook and a 20-inch iMac. Installation process was very simple, just click continue after inserting the disc, agree with license terms and enter your password. After which it's time to sit and relax till installation is completed. By default, Snow leopard keeps your data and preferences intact while upgrading your system. It took about 44 minutes for MacBook to complete the installation process, whereas the iMac took just 23 minutes. In my opinion the reason behind this time difference was amount of data on the systems – iMac had just 44GB and the MacBook had 161GB, plus the iMac had less than 30 applications while the MacBook had over 65 applications. After installation, the most notable thing on the MacBook was that the available free space on the hard drive had gone up from 140.77GB to 161.74GB and the used space had gone down from 161.79GB to 157.37GB. I believe three factors contributed to this increase in available hard drive space: one Apple is now using decimal system (base 10) compared to binary system (base 2), which means a 320GB hard drive will show 320GB of total available space; second factor was removal of legacy support (Power PC) like Rosetta technology; and the third factor is refinement of over 90 percent of the OS code making the overall size of OS smaller. I observed that the overall system performance was faster, for example Mail and Safari opened in less than three seconds, iChat video started without any lag and application switching was really fast. Graphics were very smooth for Expose, Stacks and Spaces. System restart took just 41 seconds compared to about a minute previously and booting up after a shutdown took just 32 seconds. Most of my applications worked perfectly except two iStat and Cyberduck. 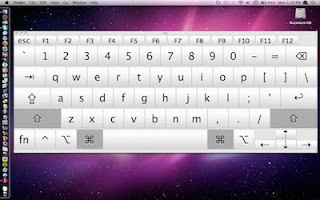 Developers for both the applications say that they will launch a Snow Leopard version soon. All the applications were faster than Leopard, even Microsoft Word, which was reported to be slower on Snow Leopard was quite fast in my experience. Based on my first 24 hours with the new OS, I would say that Snow Leopard is the best OS upgrade I have ever done and it is worth more than the $29 I paid.